Click play on the newest "Silence and Beauty" trailer below. Renowned artist Makoto Fujimura's solo exhibition "Silence and Beauty" will be showing at Waterfall Mansion and Gallery on May 3rd - June 8th 2016. The exhibit is open to the public on Saturdays from 12 - 5 PM. There will be an invitation only opening on May 3rd. For more information, please contact us on our contact page. Follow us on Facebook for more information about programs. 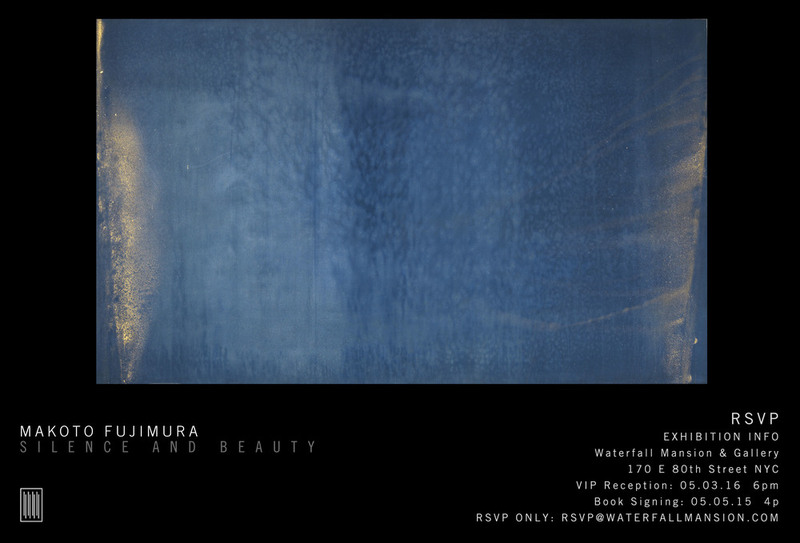 Fujimura's deeply resonating and soulful work is perfectly placed with the waterfall as the backdrop. Focusing on the silence of suffering, Fujimura employs the ancient Japanese traditional painting style “Nihonga”, with a refreshingly modern approach. Fujimura writes, “I am simply trying to paint, using mostly 17th-century Japanese materials, what cannot be captured in photographs or digital representation”.“Silence and Beauty” is organized by Waterfall Mansion and Gallery’s Owner and Founder Kate Shin and curated by Elias Popa, Assistant Curator and Operations Manager. A special thanks to the Brehm Center at Fuller Theological Seminary and Artrue International Co. Ltd. for their involvement and assistance in organizing the exhibit. For the major exhibit of his recent paintings at Waterfall Mansion, to accompany the release of this new book, Fujimura selected several pieces on which he worked while writing the book, including new "Silence" and "Silence and Beauty" paintings, as well as "Walking on Water," which he painted in response to the catastrophic tsunami on March 11, 2011 that took many lives in Japan. The "Silence" series is directly influenced by Shusaku Endo's masterpiece, but it is also inspired by the acoustics research done by his father, Osamu Fujimura, one of Bell Labs’ voice- recognition pure research scientists in the ’70s. His father noted, then and now, that gaps in reduced, "segmentalist" data fields miss a great deal of the nuance of human speech. Fujimura applies this observation to visual reality. His works are meant to create a contemplative space for all to ponder how “silence” is depicted visually.